What happens if I work and get Social Security retirement benefits? You can get Social Security retirement benefits and work at the same time. However, if you are younger than full retirement age and make more than the yearly earnings limit, we will reduce your benefit. Starting with the month you reach full retirement age, we will not reduce your benefits no matter how much you earn. We use the following earnings limits to reduce your benefits: If you are under full retirement age for the entire year, we deduct $1 from your benefit payments for every $2 you earn above the annual limit. For 2017 that limit is $16,920. In the year you reach full retirement age, we deduct $1 in benefits for every $3 you earn above a different limit, but we only count earnings before the month you reach your full retirement age. For 2017 that limit is $44,880. Starting with the month you reach full retirement age, you can get your benefits with no limit on your earnings. When we figure out how much to deduct from your benefits, we count only the wages you make from your job or your net earnings if you’re self-employed. We include bonuses, commissions, and vacation pay. We don’t count pensions, annuities, investment income, interest, veterans, or other government or military retirement benefits. If you receive benefits and are under full retirement age and you think your earnings will be different than what you originally told us, let us know right away. You cannot report a change of earnings online. Please call us at 1-800-772-1213 between 7 a.m. to 7 p.m., Monday through Friday. 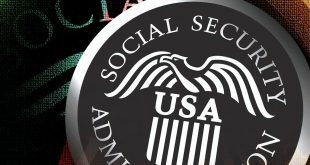 Can I withdraw my Social Security retirement claim and reapply later to increase my benefit amount? Unexpected changes may occur after you apply to start your Social Security retirement benefits. If you change your mind, you may be able to withdraw your Social Security claim and re-apply at a future date. However, you must do this within 12 months of your original retirement. When you’re ready to apply for retirement benefits, use our online retirement application, the quickest, easiest, and most convenient way to apply. What are the eligibility requirements to get Social Security disability benefits? To qualify for Social Security disability benefits, you must have worked long enough in jobs covered by Social Security (usually 10 years). Then, you must have a medical condition that meets Social Security’s definition of disability. In general, we pay monthly benefits to people who are unable to work for a year or more, or who have a condition expected to end in death. The disability must be so severe the worker cannot work, considering age, education and experience. Even if you are still working you can file for benefits as long as your monthly earnings are under $1,170. If you think you may be eligible to receive disability benefits and would like to apply, you can use our online application. Filing online allows you to start immediately, file at home, and saves time going to a Social Security office.